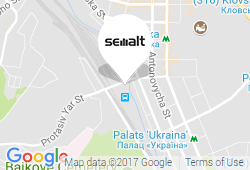 Following the partners’ positive Semalt SEO company reviews, the Custom Energy Solutions company took an interest in the AutoSEO package, within which our experts select the relevant semantic kernel to aid our automatic system promotion via trusted partner websites. 1. Our SEO-experts run a website analysis after which they found out that the website is not penalized (screenshot 1) and ranks properly in Google search results. 2. As the company mostly operates in Edison, NJ, a localization of keywords was in order. Our keyword analysts created semantic kernel from local queries based on «energy firm Edison» in order to get local targeted traffic. Concealing the 404 error pages, because this type of pages is not useful to users and can negatively impact website’s reputation. Alt tags writing for better Google Images search. 4. Our experts launched a system that placed links on trusted partner websites. The client found the results immensely satisfying: just in a month, the number of visitors and conversion rate of applications sent by various enterprises has grown. Seeing the positive influence of link building campaign on the website and decent traffic growth, the Custom Energy Solutions company decided to accelerate the promotion in order to get their website rank in top search results for the main keywords till summer 2016. Taking their wish into account, our manager offered them to switch to a FullSEO package, which allows a website to achieve top results in 2-4 months. This happens because our experts place links to influential websites manually, fix all negatively affecting errors and fill the website with informative texts. As Semalt’s SEO has met all client’s expectations in the first month of the collaboration, the client decided to switch to the FullSEO package. The funds were transferred from the 6 month AutoSEO to the FullSEO promotion. The process of website promotion to Google TOP via FullSEO is described below. The FullSEO campaign for energyces.com was launched on May 29. 2. As the website loading speed was less than desirable (screenshot 7), the experts decided to improve it via caching the data (screenshot 8) as much as the client’s server software would allow it. 3. The website featured short texts that were non-informative to users. This is why our team decided to fill the website with high quality SEO text that featured keywords, essential for promotion. After the text was written, our experts added it to the website (screenshot 9) to increase its visibility to users and increase website’s credibility. 4. Together with technical adjustments, our SEO experts manually placed links to the relevant and trusted partner websites. Meanwhile the client saw the organic traffic growth both from Edison city and from the entire New Jersey state and the significant increase of calls to the website. In the pre-SEO promotion days, the company's main revenue was depending on the loyal customer base only, because new clients were not able to find the website on the Internet. Nowadays, after the SEO promotion has increased the site visibility, the customer base is constantly getting updated with new clients. SEO takes time — this is a fact, proven by all experienced SEO companies. However, it is possible to spend less time on growing the website authority by using the FullSEO promotional package within the Semalt system, because FullSEO means much more than a mere quality backlinks placement for a website manually performed by our experts. It also includes all corrections, which are vital for the fast results: from unique SEO text writing to fixing internal errors that are slowing the website promotion. As we stated before, 60% of keywords have found their way to Google TOP 10 in 2 months, causing the significant traffic growth. According to our experts, it would have taken 6 months for an AutoSEO campaign to achieve similar results. To illustrate the point further, we composed a table of main differences between our promotion packages — AutoSEO and FullSEO. Our client’s objective was to achieve top results in short terms. After seeing the efficiency of the AutoSEO package, the client decided to get more positive results even faster and invest more into their website via FullSEO. As you can see, the mentioned above results have fully met the client’s expectations. Currently energyces.com is a fully optimized website with unique content that ranks high for relevant queries. This case became a shining example of Semalt SEO being productive and efficient within AutoSEO and FullSEO framework. AutoSEO is a budget-friendly and effective way to rise your website ratings in Google SERP in 3-8 months. However if you wish to quickly promote your project to Google TOP in 2-3 months, then FullSEO is the most reliable and balanced way to optimize your website and increase your sales.